Litmus offers free, responsive, mobile templates that are designed for specific scenarios. Categories include product launches, e-commerce, account management, and general marketing. With clean and versatile designs, this should be one of your first stops. Need access to a lot of templates? 99Designs has a list of 45 free templates that have been developed by professional designers. These templates are free for use and easy to customize. They are also modern and responsive and geared towards corporate communications. If you just want to launch fast, Behance provides a free, responsive email newsletter template in the form of a free download. Behance’s email newsletter includes a documentation template, OnePage template, and a bootstrap landing page. Zurb has a responsive framework called “Ink,” but don’t worry if you don’t know what that means. All you need to know is that Zurb offers a few free templates use which are simple enough to be customized for any situation. Themezy is the place to go if you want free, attractive, and well-designed themes to suit a multitude of industries and occasions. These themes are bright, colorful, modern, and fun. If you’re looking for a specific theme to fill a niche, such as a catering business, exercise studio, or children’s newsletter, Themezy will likely have it. Moon Marketing has listed 15 email marketing newsletter examples in their blog post and some best practices on the newsletter design. For advanced users who want a simple framework to get started, Antword gives you everything you need. A clean, responsive, multi-column design can be downloaded for free. Just need one simple to use theme? Email on Acid has got you covered. Download their responsive theme to get started right away. They have a single responsive design, but that design has been carefully built to be attractive and professional on any screen. This site includes software used to browse a variety of different email templates and customize them to their needs. Email templates have been tested in a variety of email programs and are available in different categories and styles. They can also be used directly in many email solutions. 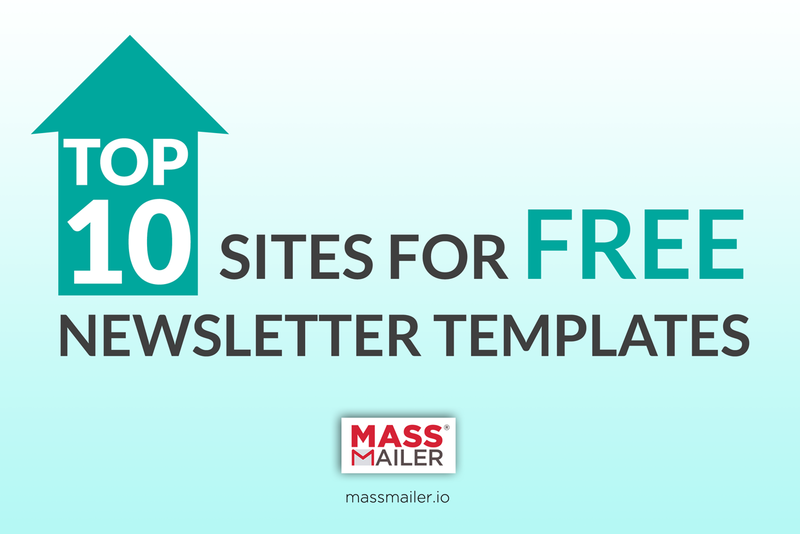 Hubspot maintains a fairly significant list of templates, from websites to emails. Some of these are paid, but there’s a fairly diverse library of email and newsletter templates as well. These templates encompass a variety of different layouts, designs, and industries. MassMailer is a fast, easy way to send your custom newsletters to any number of contacts. Schedule your newsletters daily, weekly, or monthly with no limits. Sign up today for a free trial and subscribe to our newsletter to find out more.